The holidays are in full swing! So, what does that mean? Now you can indulge in your favorite treats, right? Well, yes and no. Though you should enjoy your holiday season, overindulging can be a problem for both your teeth and your waistline. 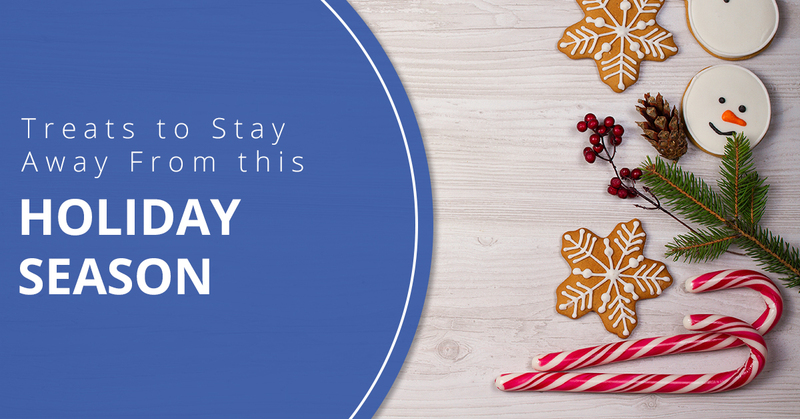 In this blog, we will be discussing some of the foods, beverages, and sweets to stay away from this holiday season. The holiday season brings on the delicious tastes of hard candies, such as toffee and candy canes. But even though these treats are delectable, they are also to be eaten with care. If you bite into a hard candy, you can risk breaking one of your teeth. As your local dentist’s office, we believe we should warn you to refrain from biting into hard candies. It is best, if you cannot help but bite down on hard candy, that you soften the candy with your saliva before chewing. If you break a tooth on a candy cane, however, know that you have Chess and Taub Family Dentistry to assist you. We have dentists that can help you with any of your dental restoration needs. Just as hard candy can be a threat to your teeth, so can chewy candies. These sorts of candies are typically soft and require plenty of chewing to properly break down. Chewy candies are items, such as taffies, nougats, and caramels. All of these types of candies should be eaten with care, as they can easily pull out your fillings and even crowns. To ensure that you don’t have these mishaps, eat these items slowly or avoid them altogether. You are most at risk of damaging your teeth with these types of candies if you are biting into them without softening them up first. Be sure that if you are eating candies, such as caramels, that you eat them with great care. Liquor is common during the holiday. What holiday party is complete without spiked eggnog? But, with this being said, you should be wary of the effects of alcohol on your teeth. Be sure that if you are going to drink sugary, alcoholic beverages that you do so responsibly. This means both being mindful of your intake and caring for your teeth. After an afternoon or night of drinking, it is important not to bypass brushing your teeth. Beverages with sugary types of alcohol can leave sugar deposits on your teeth and lead to decay and even dental corrosion. Starch foods are all around you during the holidays; every slice of pie and every bread-based item is out to destroy your teeth! Well, not really. But don’t forget that starch foods are bad for your teeth. Starches have sugars in them that can rot your teeth if not cleared away. This means that during the holiday season, it is very important to stay away from these types of foods. But, if you cannot resist a slice of pecan pie, be sure to brush your teeth before you go to sleep. When starches are allowed to reside on your teeth for a night, they can easily intermix with the bacteria of your mouth and create dental acid. This acid is toxic to the health of your teeth and can work to corrode your teeth. To stop this from happening, the solution is very simple — just brush your teeth! At Chess and Taub Family Dentistry, we believe dental care should be a year-round concern. Just because the holidays are here, doesn’t mean that your dental health should go the wayside. At Chess and Taub, we want to ensure that every member of your family has healthy, clean, and bright teeth. Contact us today if you are interested in a dentist appointment with one of our specialists.